The minimum deposit at LYNX is $3,420. Because LYNX is the introducing broker of Interactive Brokers, your money will be held at IB. This also means that you will be covered by the investor protection schemes available at Interactive Brokers. Why does LYNX require a minimum deposit? LYNX does not charge a deposit fee. This is great because the broker won't deduct anything from your deposits and you only have to calculate with the costs charged by the bank / third-party you send the money with. If you want to know more about LYNX fees, check out the fee chapter of our LYNX review. The good thing about depositing to LYNX is that it's user-friendly. 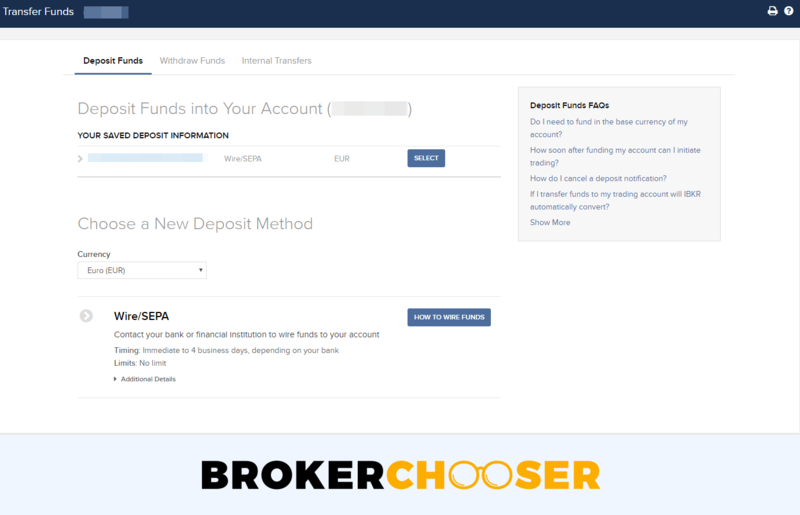 The interface is easy to use and the depositing process is simple. Luckily, LYNX stands out from the majority of online brokers by supporting not only the main currencies but some smaller ones as well. The benefit of this for you is that LYNX is very likely to support the currency you want to deposit in and won't have to convert it. The conversion would mean extra costs, as a conversion fee is charged.